NBS Technologies leads in the global arena of wafer handling and inspection equipment. NBS advanced systems facilitates automatic inspection of imperfections such as silicon micro cracks and peripheral breakages, to make wafer handling a highly secure process. NBS expertise in the area of wafer packing is allowing us to continuously develop new solutions for the Semiconductor industry. NBS creates systems that are compliant with the SEMI* standard in accordance to industry requirements. NBS Technologies is a global company with locations in Canada, US, France and the UK, along with a comprehensive worldwide dealer network. Besides their expertise in wafer handling technology, NBS is also the leader in equipment for card personalization, EMV compliance/migration and smart card manufacturing. NBS Technologies has the technical expertise and skills in the wafer packing and sorting. We offer wafer handling solutions for wafer sizes 150mm, 200mm & 300mm, including thinned wafers. Our experienced Engineers are here to support your operations. Our tool is SEMI SECSII/ GEM/ 300mm software compliant with user friendly GUI. 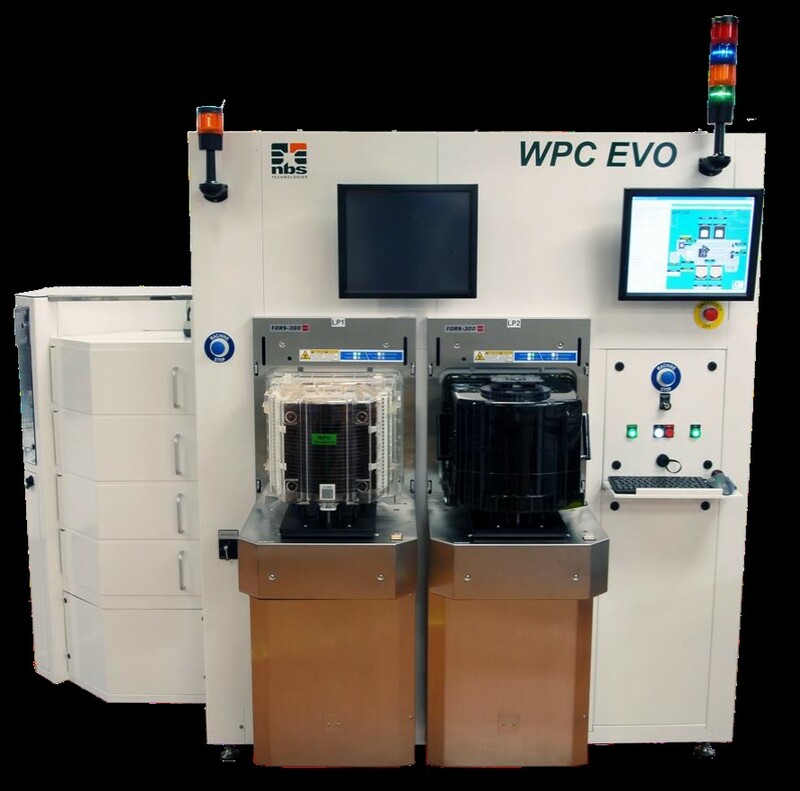 Read more about our NBS WPC EVO here.